The sun shone on May Day as we viewed 20kW of PV panels at Sadler’s Wells and heard about their inspiring refurb. Sadlers Wells reduced their electricity use by 17% in one year by fitting LEDs throughout the building. XCO2 and Cullinan facilitated great workshops and we received lots of positive feedback about how useful it was to share experiences. 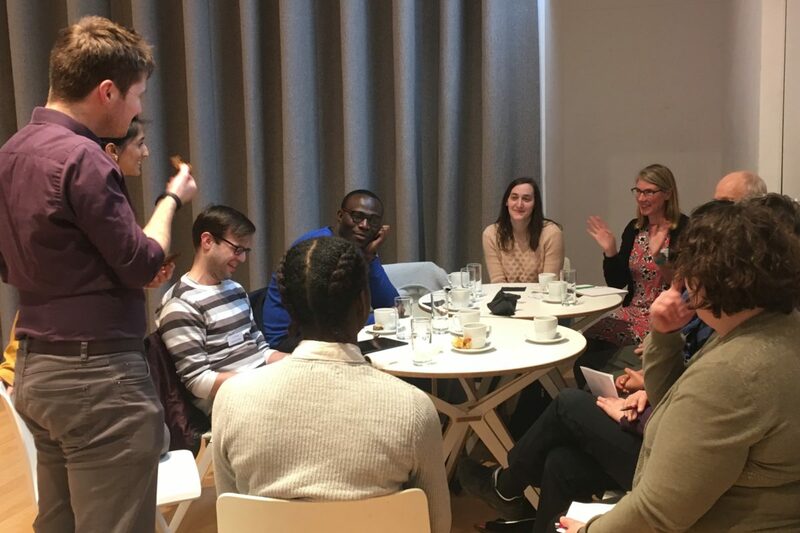 Sahiba at Cullinan has written up a handy blog about her workshop group here which included London Metropolitan University, Free Word Centre and LSO St Luke. XCO2’s workshop group included BLF, Workspace, Little Angel Theatre, Finsbury Business Centre and Islington Council. Lessons learned covered the importance of metering and data collection and how useful the EPC database can be. With meaningful benchmarks in hand then it’s time to set performance targets for your refurbished building. Often it’s crucial that any refurb be sympathetic to the existing building and the ethos of the organisation: there are always going to be trade-offs. Thanks so much to Sadler’s Wells and finally thanks to Cookies and Scream for the cookies.